Home/ Ghanaian Movie/Movie Review: BAD LUCK JOE – when Apex beats ‘their’ venom. For some of us, we would continue to argue that the Ghana film industry is on the upsurge with renewed energies and mindsets that are steadily pushing mediocrity to the back. It gets more reassuring when we get served with another film that delivers on providing a truly satisfying cinema experience. After a long wait we finally got to see Ramesh Jai’s BAD LUCK JOE last night and just like the initial promo artworks had projected, we left the cinema feeling all kinds of emotions all at the same time. 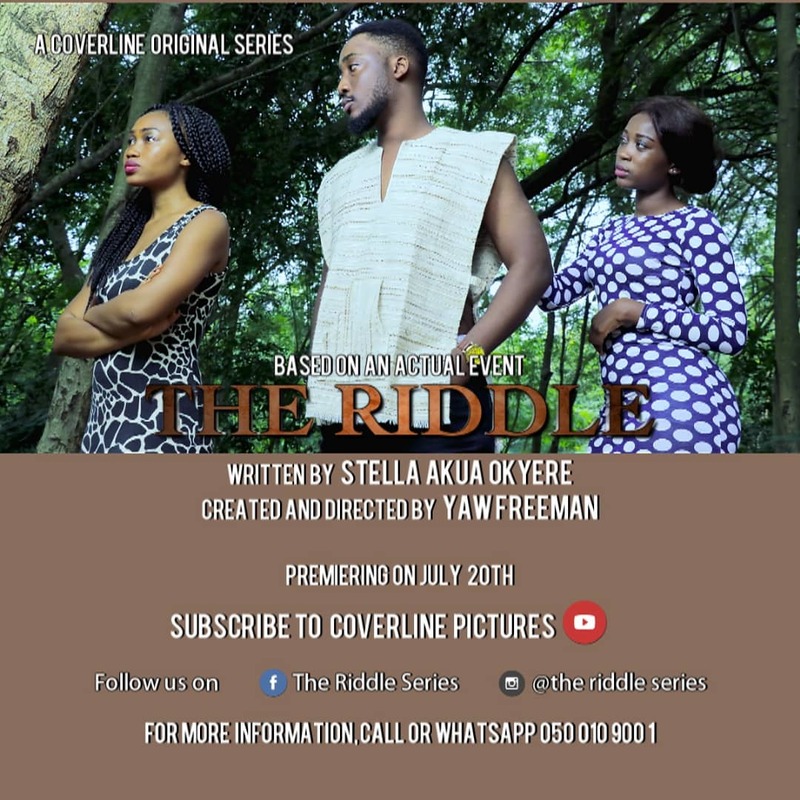 The film’s story is centered on Joe, Abena, Zuri, Elizabeth and other everyday people who get caught up in a power play between two widows, Madam Francesca and Aunty Beatrice who are fighting over their husband, Mr. Patapaa’s properties. A fight that takes the characters on an interesting ride as they try to find a missing body. The story goes several layers deep with the characters it made use of. There is Joe, (played by Chris Attoh) a broke troubled man who is struggling to change his ways and better his fortunes after finding love in Abena (played by Adomaa). And there is Zuri (played by Sika Osei) a daring and energetic young lady who is haunted by an unfortunate event in her past, who is bent on making things right between her and her father. Whilst Elizabeth, (played by Kande Talata Awudu) on the other hand, is a caring wife committed to her marriage regardless of the tedious task of having to deal with a clingy and needy husband who is confined to a wheelchair even as she compelled to enforce the plans of her aunt, Madam Francesca who is seems too sophisticated to want to get her own hands dirty. The characters in this film were beautifully developed with enough details to make them very relatable making their actions/decisions in the film very much understandable no matter how outrageous they seemed. You see almost any kind of person you can relate to, in the Ghanaian sense, in this film. Right down from troublesome landlords, shady men of God, through to nosey tourists you have your pick to choose from. The humor in BAD LUCK JOE is different and could be compared to a stand up performance act where the punchline to each joke is set up flawlessly and nailed effortlessly leaving the audience helpless with laughter. The acting in this film was equally beautiful besides some over exaggerations by a few of the cast. I doubt if we have ever seen Chris Attoh looking this dispirited and scruffy yet still lovable or an energetic and positively chirpy Sika Osei as what we got to see in this film. Adomaa also did well to leave us spellbound with her beauty, charm and innocence in the character she plays in this film. You can’t help but cringe or fume at some of the situations in this film. But the beauty lies in how it all ended up adding to the story being told. There isn’t a single random scene or dialogue in this film that didn’t add any weight to the original plot. Something we rarely see in most of our films. The sequencing and editing in this film was amazing, using some very interesting fast cuts on emotionally driven sound scores that were able to successfully pack so much vital details about some of the characters and their back story into a small time frame without leaving the audience confused or lost at any point. And you have no choice than to be awed by the very detailed slow motioned running scenes that would certainly make anyone laugh. GhMoviefreak.com rates this film a well deserving 8.3/10 score after passing in through our veracious rating scheme. Argue all you want, but it’s certainly better to have one quality project a year that satisfies your audience and elevates the prospects of the industry collectively than having several projects that just muddies the pool and further worsens the woes of our film industry either directly or indirectly. Bottom line is…. a lot more of our filmmakers should endeavor to make a some more ‘good films’ with a unique story, commit to marketing not just the “stars” in the film, but an amazing cinema experience and proceed to make sure they deliver on exactly that…. all for the sustainability of our evolving film industry. In case you missed out on the sold out premiere last night or you were scared away by the crowd, make sure you go see this movie as it is still showing throughout the week. BAD LUCK JOE is definitely worth the time and money, especially for any skeptics of the potentials of the Ghana film industry. Movie Review: “I Love You But…”Another Page From Kobi Rana’s Formula Book. Web Series Review: What’s Up – The New kid on the Block. Did you notice the two different posters for Mr. Patapaa’s “funeral announcement”? Yes sure.. why do you ask? According to the films story, both Mr. Pataapa’s wife and his mistress wanted to claim the body for themselves and have their own funerals. So it makes sense to have w different posters for his funeral announcement. Movie Review: “One Last Look” at the Overflow Experience.